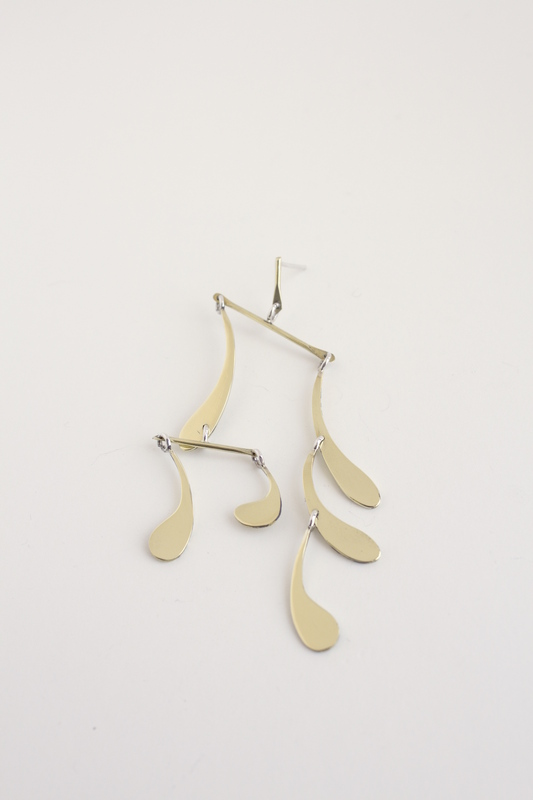 This earring features a flowy teardrop shape detail and mobile design. 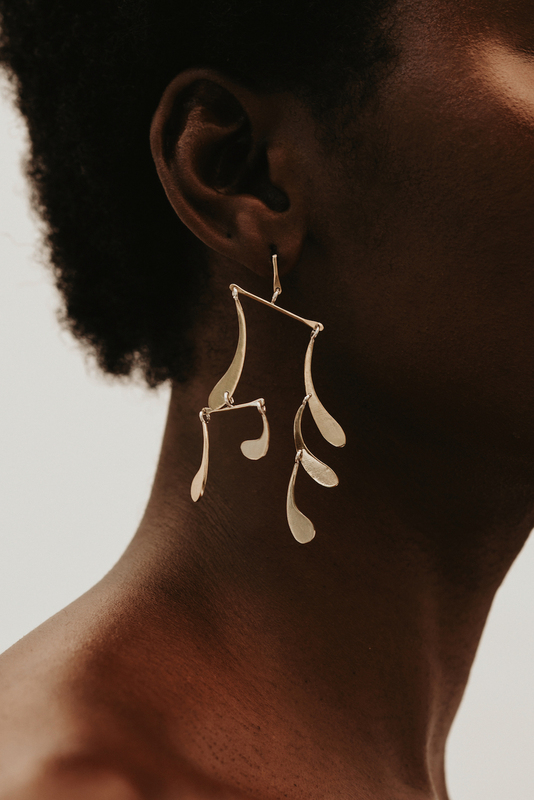 The style of these delicate earrings move & flow with the natural movement of the wearer. Notify me when Fin Earring Fin. is available.